“We hope to continue growing,” Rojas smiled. “Our ice cream works. We are always very busy." 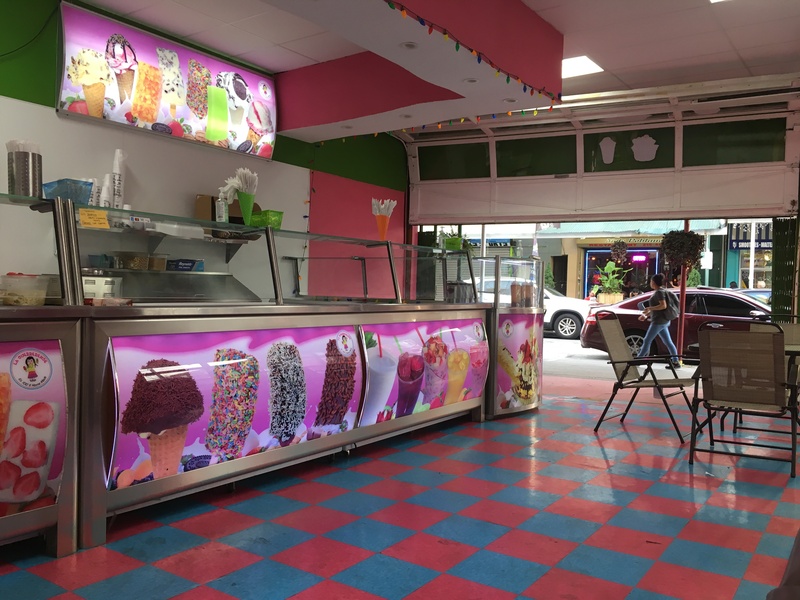 Nestled on the corner of 9th and Ellsworth, ice creamery La Guerrerense demands attention with its bright pink facade and open garage door that blends the sidewalk with the store interior. Bright blue and pink tiles line the floor while the staff members standing behind the counter wear vibrant uniforms of orange, pink and black. “For our design, we chose colors that reflect the diverse colors of the different ice cream flavors,” explained owner Gabriel Rojas. 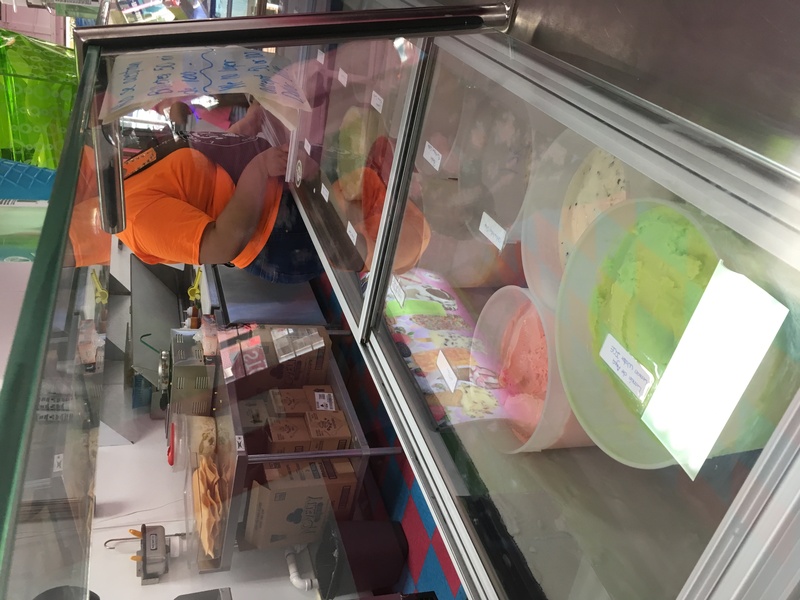 For the past year and a half, Rojas has operated La Guerrerense, a traditional Mexican ice cream shop, in Philadelphia’s Italian Market. The idea originated in Wilmington, Delaware, where the first location was opened more than ten years ago to accommodate the city’s growing Hispanic population. The recipe (heavy on the cream) is distinctly Mexican and comes from the state of Guerrero, Mexico, where the Rojas family is originally from. The amount of ice cream on offer is extensive (60+ varieties) and the flavors range from the somewhat typical, such as piña colada or tequila, to more exciting ones like pine nut, tamarind and cheese. The cheese flavor (which really does taste like cheese) was inspired by the cheese production on ranches in Guerrero. Cheese is a popular choice, but my favorite was definitively the rich, soft pine nut. 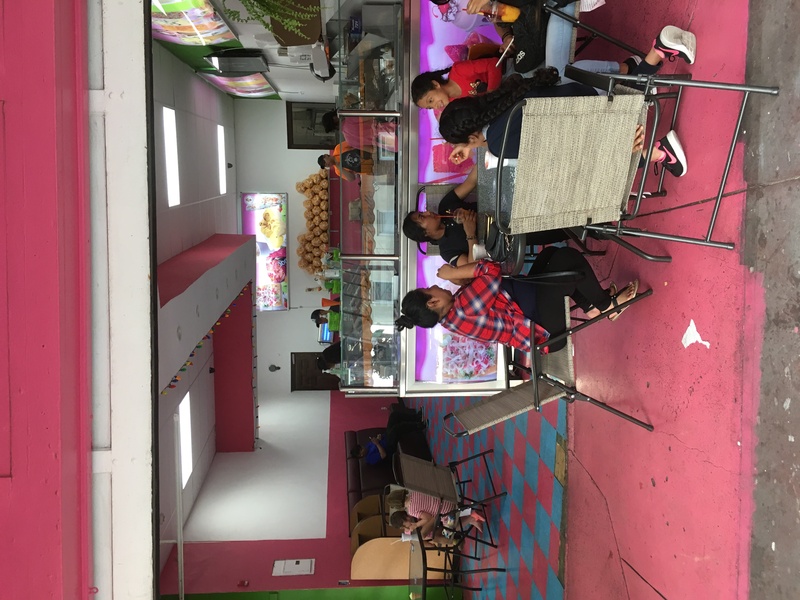 Also available are aguas frescas, such as horchata, as well as nachos and Mexican classics like elotes, chicharrones and esquites, which attract a large Hispanic clientele. “We have a lot of Hispanic customers,” explained Stephanie Mendez, a server who has worked at La Guerrerense for over a year. “But I think what really attracts them is the name." The name La Guerrerense and the logo of a woman were inspired by Rojas’ native state of Guerrero. Rojas is heavily involved in all aspects of the business from interior design to sales to the transportation of materials. He originally arrived in the U.S. in 1986 where he worked cutting strawberries in Los Angeles. He later moved to Delaware after a friend told him the pay was better there for Latinos. He eventually returned to Mexico where he met his wife but moved back to the U.S. to raise a family. Rojas’ first idea for a business was a seafood restaurant. He grew up near the sea in Iguala, Guerrero, and was more familiar with the seafood business. After saving for years and securing a loan, Rojas opened La Cabaña in Wilmington in 2002. Six years later, he opened La Guerrerense in Wilmington to great success. 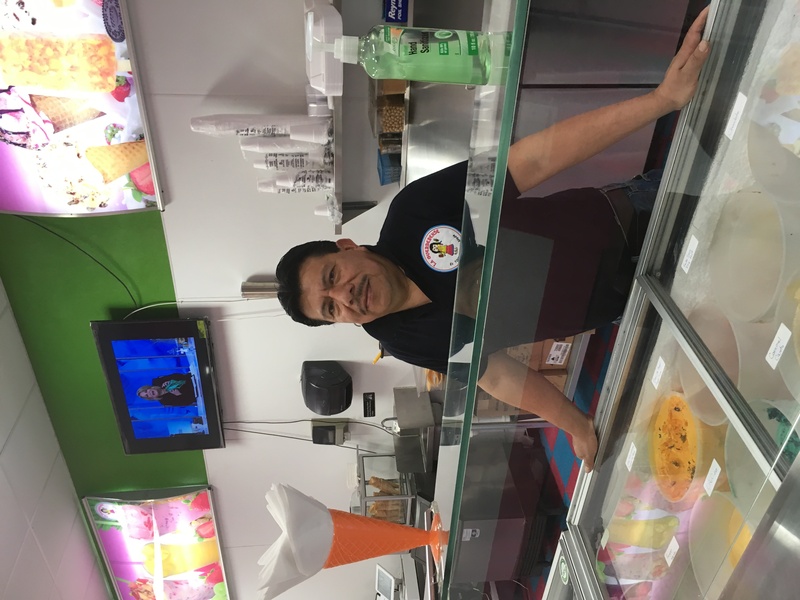 The company now delivers ice cream to more than 50 Mexican stores throughout Delaware, New Jersey and Pennsylvania. 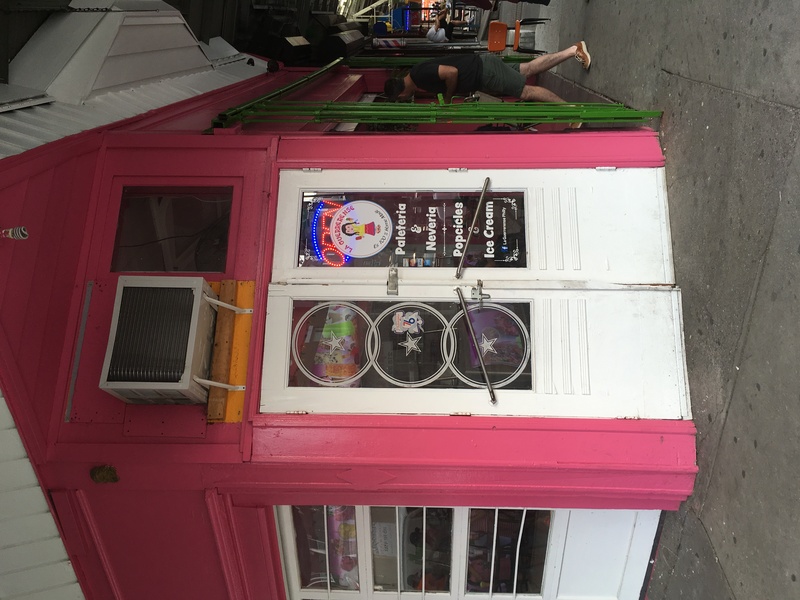 Going forward, Rojas hopes to transform the ice cream parlor at the Philadelphia location by adding a café section. He even plans to take coffee classes in Mexico City to perfect the craft. Also in the works are more ice cream shops throughout Philadelphia and in the Bronx in New York City. For more information about La Guerrerense check out the parlor's Facebook page or call 267-639-9817. Hours: 11 a.m. – 10 p.m. daily. Address: 1143 S. 9th Street Philadelphia, PA 19147. Prices: $3 - $5.